Facing south, after taking the first exit into Blaine, we're the building with a blue roof on the right (beside Cole Intl). 1 minute from the Peace Arch border crossing! Follow the roundabout and you'll find us on the right, we're across the street from Edaleen Diary and right beside Subway. The first exit after the Peace Arch Border Crossing. 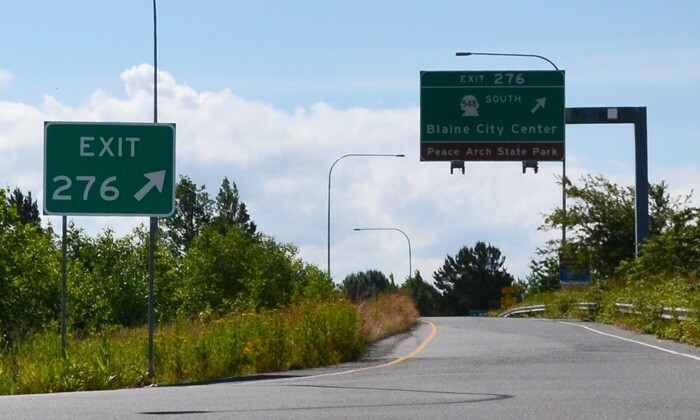 There will be a sign for "D Street, Blaine City Center". 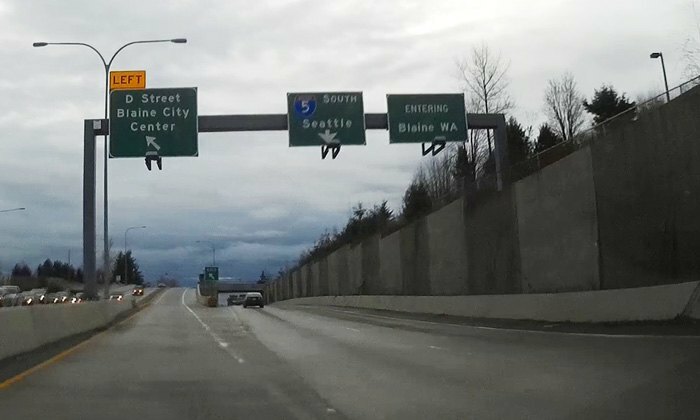 The exit will be on the left lane, and will go up onto the overpass. Make a right onto D street. Follow D Street, and continue past the first roundabout. Continue under the overpass (pictured below) to the second roundabout. After the second roundabout, you'll see us on the right hand side, after the Subway and right across the street from Edaleen Dairy. The D St. exit after the Truck Crossing. There are 2 parking spaces on the street in front of our building, as well as 3 parking spaces on the hill and several more at the bottom of the hill.